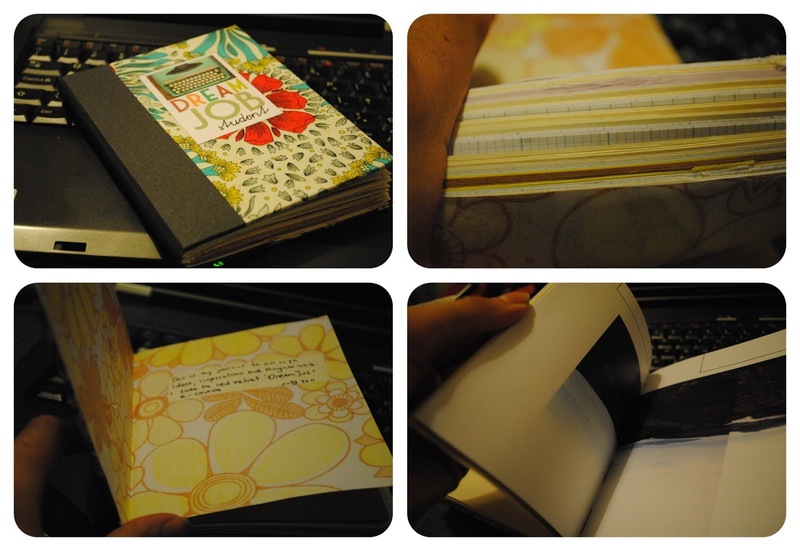 In the last two weeks I have been having a bit of a book making binge. It is very possibly my favourite skill I learnt this year. 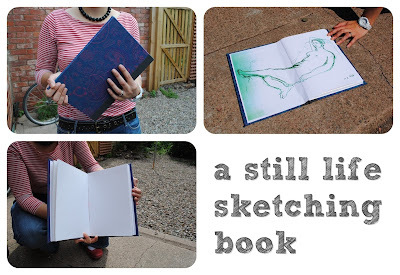 We have a book arts tutor who comes in and teaches us how to make sketchbooks and also introduces us to the concept of book arts. This was a skill I had never even considered learning and I am in love. Making books is something that I knew someone must do, and I had seen handmade books at craft shows, but somehow it is a craft I never thought about. I am really lucky to be on a course where we have an experienced tutor come in and show us how to make simple books. I have since tried to learn some different types of binding and without that basic foundation at college I would have given up very quickly. There are so many steps to follow and all of them need to be done in the right order. My partner and I have been collaborating on a photo book together and so my bookbinding tools have been out inspiring me to make a few new notebooks and sketchbooks. Firstly I decided that the thing that was holding me back from really getting into the Dream Job e-course I have signed up for was not chronic time-wasting or fear of lack of crafty inspiration, no it was the lack of a suitable note book. I have been in a 15 year hunt for the perfect pen and the perfect notebook that will mean I suddenly become eloquent, organised and creative. I have now found the perfect pen, well pens actually - a bic with squishy finger grip and a superfineliner for drawing. I've even found the perfect pencil, but I can only seem to buy them in the Barbican gift shop, so whenever we are at a show they I buy fistfuls of them much to the amusement of the giftshop staff I fear. But the perfect notebook, like the pen I have realised it is not about ONE perfect notebook its about the perfect notebook for the job. Unfortunately it has taken me 15 years to figure this out and I now have a huge stash of barely used notebooks and pads, none of which was quite right. So I did what any self respecting crafter would do and I customised. I took pages out of a whole bunch of other notebooks and combined them into a new perfectly sized, perfectly random book and I love it. Sadly I have to admit it is still blank. It wasn't the lack of book holding me back. Fully Inspired by my triumph we collaborated on this note book for the birthday of a very special overseas friend who loves a good journal. Again this one has a selection of different papers and a quarter-binding. 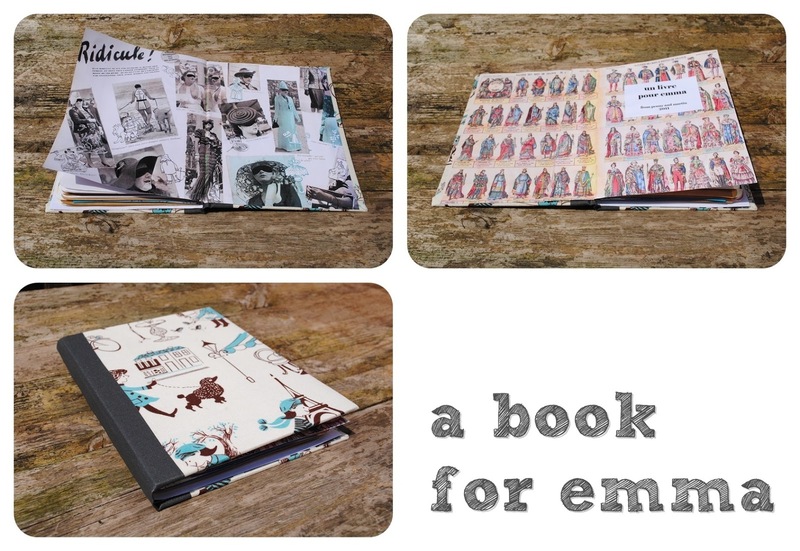 my partner designed the endpapers and they are perfect for our international friend. Finally, on a very drunken evening I promised to make a sketchbook for a friend who likes to sketch her partner while he sleeps. As inspiration my partner and I did sketches to act as endpapers. Turns out she doesn't remember even asking for a book, but it went down well as a nice surprise gift. These books have been a real step forward in my binding and I am really loving the quarter-binding AND thanks to the wonders of youtube I learnt to make my own book cloth so I now don't need to be restricted to the rather dull book cloths that at commercially available, and I have a use for the large stash of upholstery weight fabrics knocking about in my fabric stash. 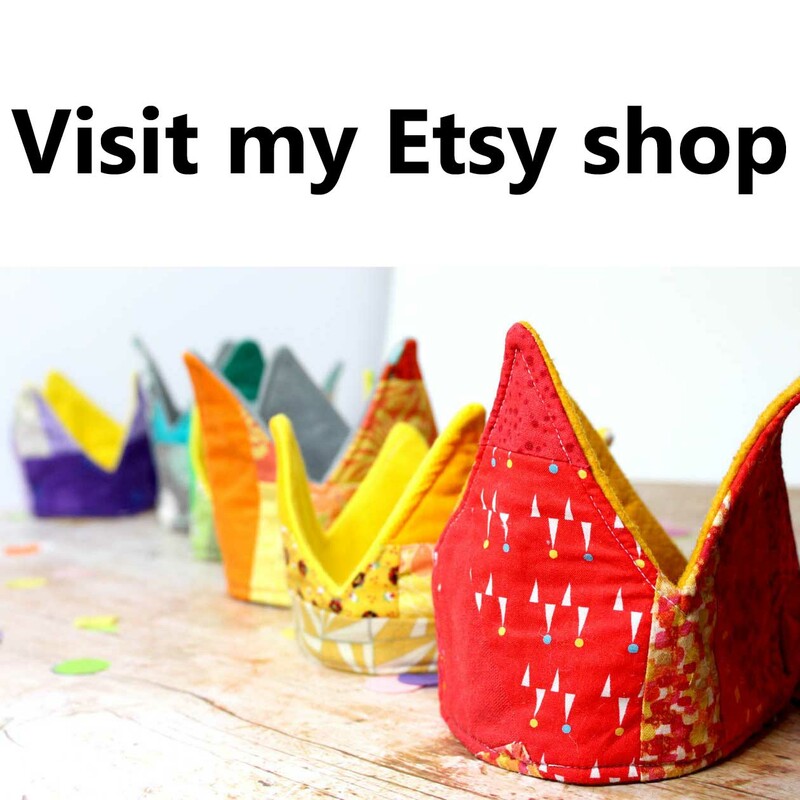 I am definitely going to be making a whole bunch more of these in the hope that I can find a craft fair to sell them at over the summer, or revive my etsy shop and put them up there.